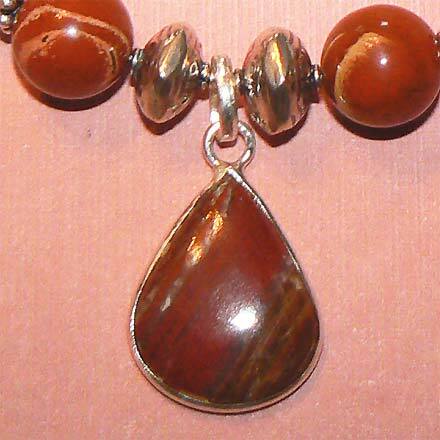 Sterling Silver Red Jasper Necklace. See Closeup. 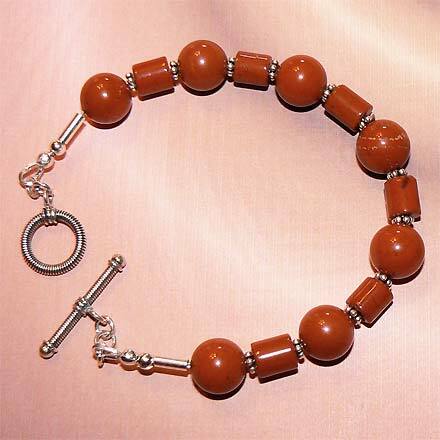 Sterling Silver Red Jasper Bracelet. 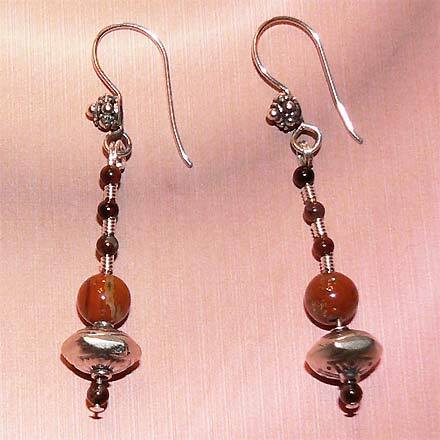 Sterling Silver Red Jasper Earrings. 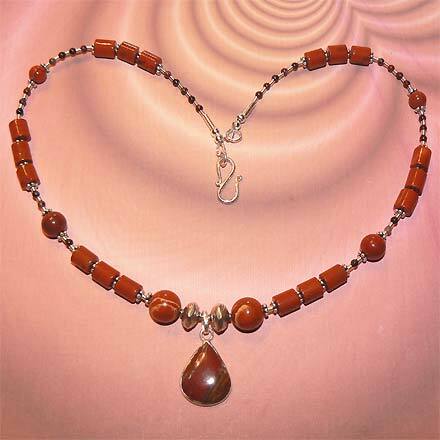 Affordable, lightweight and delicate, all in bright and deep shades of red.